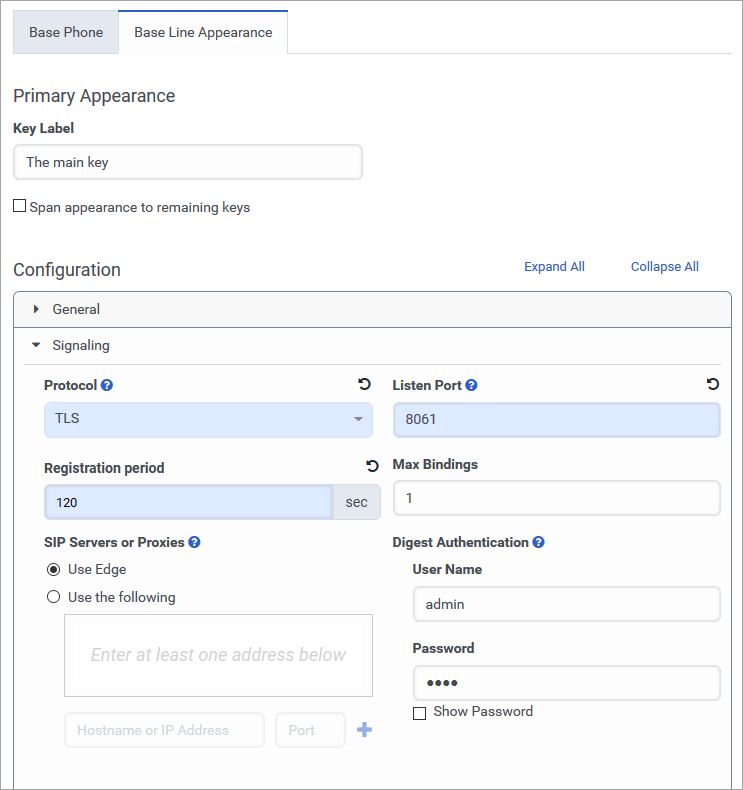 Before you can create a managed phone for operation under a FENT (Far-End NAT Traversal) deployment model, you need to create a customized base settings configuration for the phone. 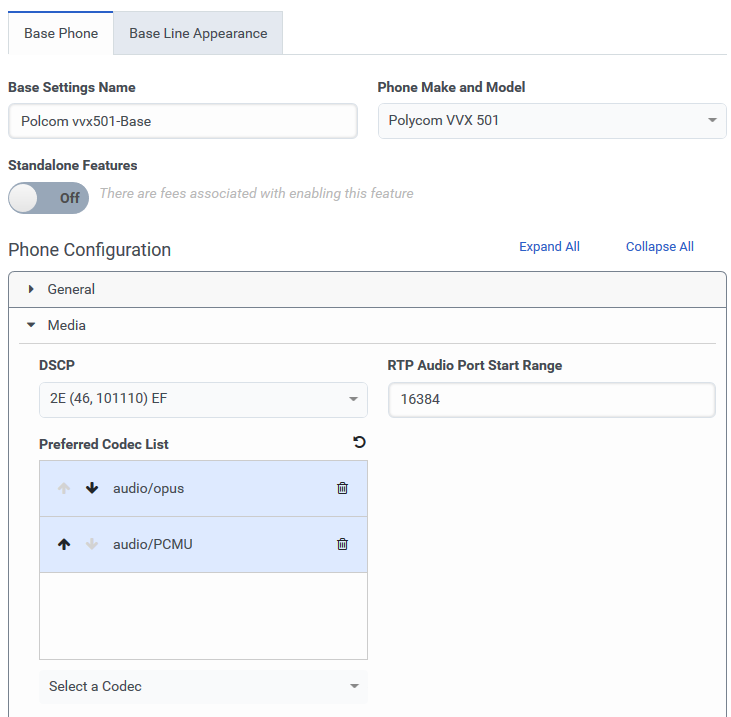 The base settings configuration contains a group of settings found on the Base Phone and Base Line Appearance tabs in Phone Management and defines how a particular phone is to operate in PureCloud. Once you create a base settings configuration, you can create and configure a phone. Note: This applies to all managed phones except WebRTC and remote phones. Configure settings on the Base Phone tab. Type a name in the Base Settings Name box. From the Phone Make and Model list, select your phone. Leave Standalone Features set to Off unless you are creating a base settings configuration for conference room phones. See Enable standalone features. In the Phone Configuration section, click Media. In the RTP Audio Port Start Range box, type 16384. Configure settings on the Base Line Appearance tab. Type a name in the Key Label box. If you want this appearance to be available on the other keys, select the Span appearance to remaining keys check box. In the Configuration section, click Signaling. From the Protocol list, select TLS. In the Listen Port box, type 8061. In the Registration period box, type 300. Once you save the Base Settings, you can proceed to Configure the phone settings article.